Slide, step, and stomp through the snow with “Grammy” as she takes her grandkids on a winter adventure. As they explore the woods, they spot a cardinal, learn why some trees are green all year, and build a tall snowman. At the end of the day, they learn how to build a pinecone bird feeder. 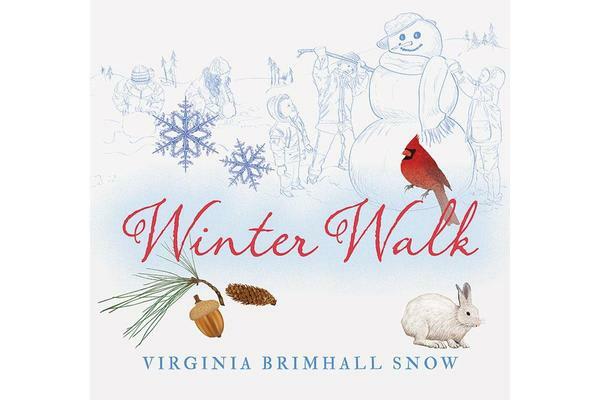 Virginia Brimhall Snow, author of Fall Walk, Spring Walk, and Summer Walk lives in a wooded area bordering a national forest in northern Utah. For more than twenty years, she has expressed herself using paints, pencils, and pixels. If she’s not working in her garden, you can find her at virginiabrimhallsnow.com.